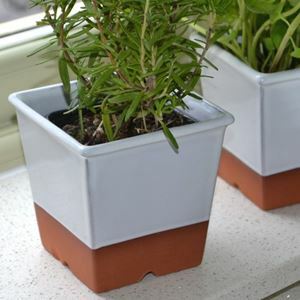 Finished in a contrasting white glaze to complement the terracotta our garlic pot will look at home in any kitchen. Our terracotta garlic pot (or garlic keeper) will store three or four garlic bulbs, which is often the preferred supermarket pack size. 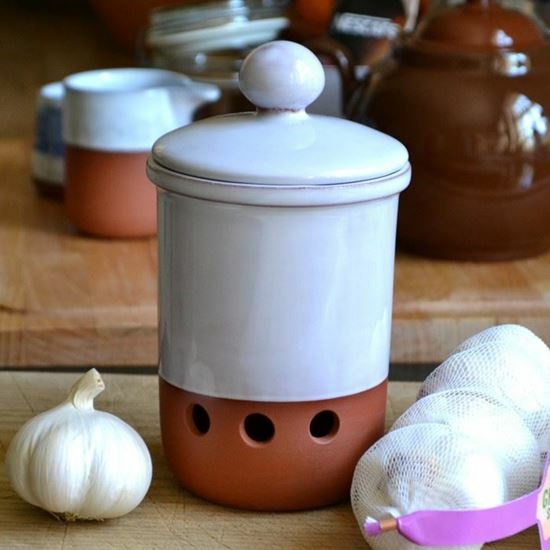 Also known as a garlic store, a terracotta garlic pot will provide natural conditions necessary for storing garlic for longer periods helping to prevent sprouting & so retaining the full garlic flavour. The holes in the side of the pot provide adequate ventilation, reducing humidity, whilst keeping the garlic out of direct sunlight in darker conditions also prevents early sprouting.